Google, which likes to tackle big challenges, including human mortality, is at it again, this time taking on another global nuisance: notoriously complicated and ugly home Wi-Fi routers. OnHub is a sleek, cylindrical Wi-Fi router that's meant to be placed prominently in your home, not hidden under a desk or on the floor, where most of these devices end up. Judging by photos of the device, users might indeed decide to keep it out in the open. There are no visible antennas, though it has six 2.4 gHz antennas and six 5 gHZ antennas tucked inside. There's a dimmable light ring at the top that indicates how the device is functioning, and a speaker that uses an audio tone during the setup process. It's just over seven inches tall, and weighs less than two pounds. Google designed the device in partnership with Chinese networking vendor TP-LINK. OnHub includes a dimmable light ring at the top that indicates how the device is functioning. OnHub looks a bit like Amazon's Echo home assistance unit, though it performs a very different function. Because the unit is meant to be placed at eye level, it will provide a better Wi-Fi signal than a router placed on the floor, Google claims. It can be pre-ordered starting Tuesday for US$199 from online retailers in the U.S. including the Google Store, Amazon and Walmart.com, Google said in a blog post. Devices will start shipping on Aug. 31. It will be available in retail stores in the U.S. and in Canada in the coming weeks. OnHub was built around the premise that configuring and trouble-shooting problems with other Wi-Fi routers is a hassle. 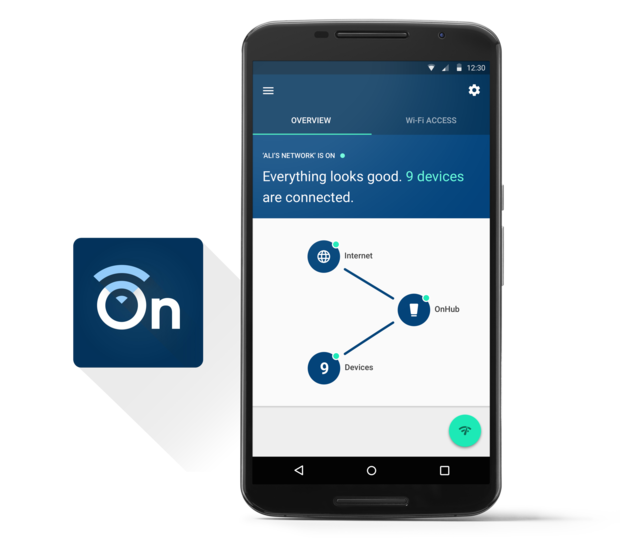 Users can set up and control the router through the Google On mobile app, available on Android and iOS. If something goes wrong with the Wi-Fi, users can test the speed of the connection and find possible solutions to the problem within the app. 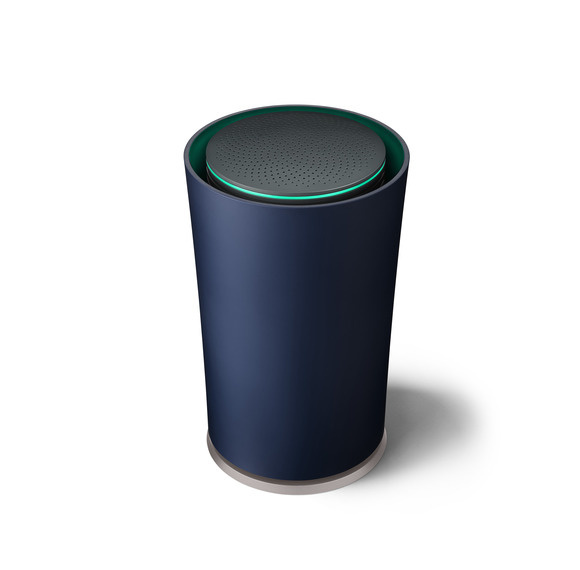 Google's On mobile app lets OnHub users control and troubleshoot problems with the router. The unit will also let users prioritize a device, to achieve, say, the fastest possible streaming speed on their tablet. OnHub will not solve all home Wi-Fi problems. It offers solutions to router-specific problems, but it doesn't change the bandwidth received from the actual Internet service provider. OnHub arrives as Google pushes deeper into the home, offering a growing lineup of consumer products. In the future, OnHub will support smart devices in the home, Google said. That would include devices connected via Bluetooth, and Weave, Google's common standard for the Internet of Things. Google said it's already working with Asus to develop new OnHub devices.